Our friendly staff speaks different languages so all travellers from all over the world are accommodated, particularly in communication, service and quality. The Guest House ensures that all rooms are well maintained with standards in order to guarantee a high level of customer satisfaction. We have nice, clean common area and locckers in the dorms. We provide airport pick up service. (7 seater car). Pick up HKD 300 drop off HKD 250. Note: There are many people at ground floor may cheat you for different hostel. Please follow address mentioned to get Ashoka Hostel. For more information, you may consult the security guard at ground floor. 'Private ENSUITE -- with private bathroom. Airport bus is the most popular method to get to Chungking Mansions. The Airbus Station is located near Hall B on the Arrivals Level (Level 5) of Hong Kong International Airport. Find the bus stand for A21 Airport Hung Hom KCR Station Route. You will see a map of the terminal. There is usually a lineup of around 10. The bus departs approximately every 10-15 minutes. A fare is HK$33. When you are on the bus, be sure to first secure your luggage then find a sit on the lower level. In 30-40 minutes (varies with traffic) you will reach the Bus Stop No.14 - Middle Road, Nathan Road. (1st being the airport). Once you got off the bus, turn the back way, and walk approximately about 50M, It takes about 30 seconds on foot. you can see the ChungKing Mansions front entrance on your right hand side. 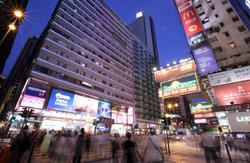 You will see the huge TV screen paste at the wall of Chungking Mansions. When you make sure you are at ChungKing Mansions, walk into the Block A (just be close to the Chungking Mansions front entrance). You can see two lift, take the right hand side one(stop at odd numbers floor), push the 13rd floor button, when you are out, turn right, you can see our Ashoka Guest Board. 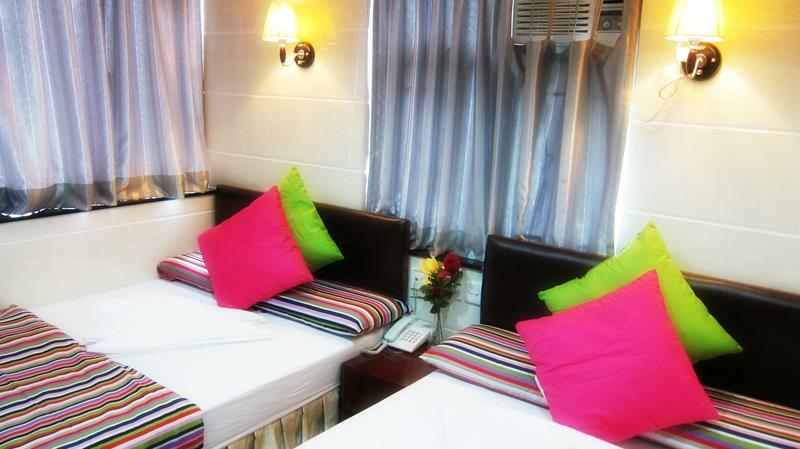 From the airport, you can get to our Guest House directly. It is the quickest and the most reliable method. It takes about 30-40 minutes. 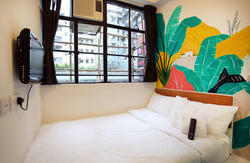 You are expected to pay about HK$250-260 for the trip. If you take the nonstop train from Beijing, Shanghai or Guangzhou, your train will stop at the Kowloon Hung Hom Station. When you get off the train, buy the ticket to the station - East Tsim Sha Tsui. It cost HKD$3.5 one person, and take 2 minutes. When you arrival the East Tsim Sha Tsui station, Get off from K gate - Middle Road. After comes out walks towards Nathan Road direction, walk to the intersection right extention, walk 100m, obviously Chungking Mansions main entrance, It takes about 2 minutes on foot.